I carefully followed the intervention of the President of the Republic on the occasion of 14 May 2013. And I have learned with satisfaction his wish to meet with ancie. Do you think that Mr. Aristide will react as well? If he does react to these messages from both current President Michel Martelly and Former President Jean Claude Duvalier, do you think it will be positive. 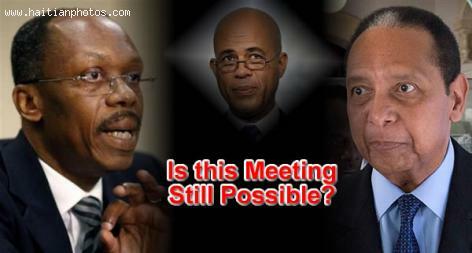 Is it in the best interest of Jean Bertrand Aristide to meet with Jean Claude Duvalier? Is it in the best interest of the Lavalas Party for Aristide to meet with Jean Claude Duvalier? Is it in the best interest of the Haiti for Aristide to meet with Jean Claude Duvalier? What do you think about this new development in Haitian politic? Your comments will help make this a reality by exercising some pressure. Duvalier and Aristide represent two different era in Haiti. The people are still hurt by the actions of the Duvalier regime, and they are still favor Aristide because He represented peace.